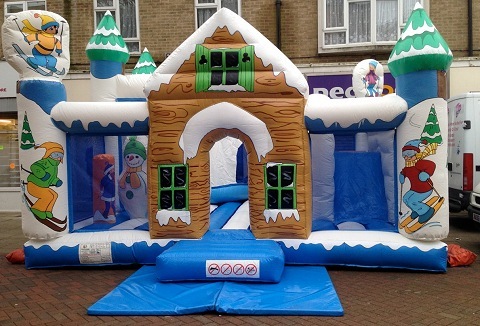 We offer bouncy castle and inflatable hire across Surrey and surrounding areas. Our bouncy castles and inflatables are suitable for children and adults & feature everything from the latest to the classic themes & available for your party, funday or event. 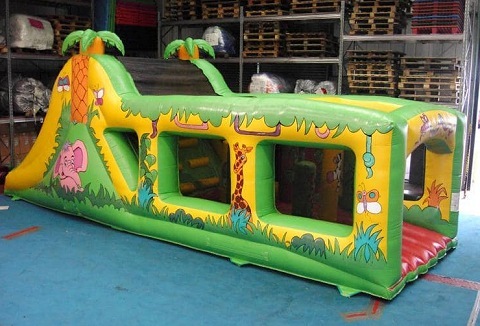 We have a large range of inflatable bouncy castles available to hire that are suitable for all age ranges. 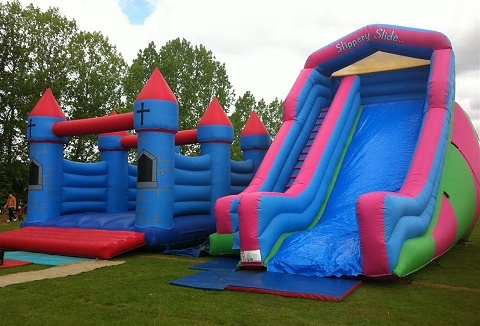 Our inflatable range includes standard bouncy castles, castles with slides, inflatable slides, toddler playzone, inflatable games and activities. Our colourful large inflatable Slippery Slide is great fun for young children to teenagers, the slide is 35ft deep, 25ft wide and approx 22ft high. A selection of smaller inflatable bouncy castles available including an inflatable Moonwalker Dome. We provide a wide range of inflatables including a 100ft x 80ft children’s inflatable which holds up to a 100 children, plus bungee run, obstacle course, table football, giant games plus arcade games, super sumo wrestling, jousting and dunk tank. We have an awesome selection of children's bouncy inflatable castles all decorated to a quality high standard. 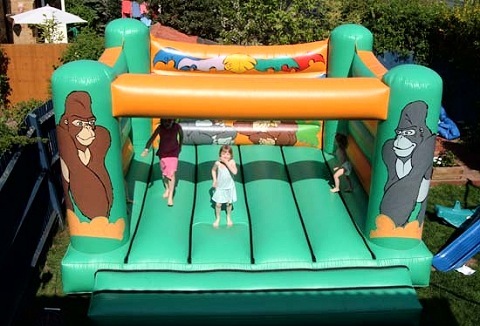 Our range of themed bouncy castles for both boys and girls will keep them bouncing all day long. From pirates to dragons, princess to knight's. 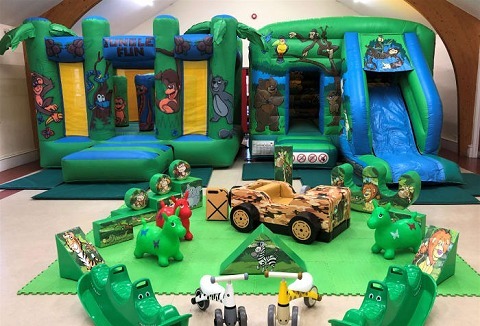 Family run business offering a complete fun filled package with a range of unique activities including; children's bouncy castles, inflatable assault course, team fun with inflatable bungee run and gladiator joust plus bish bash men and squeeze rollers. 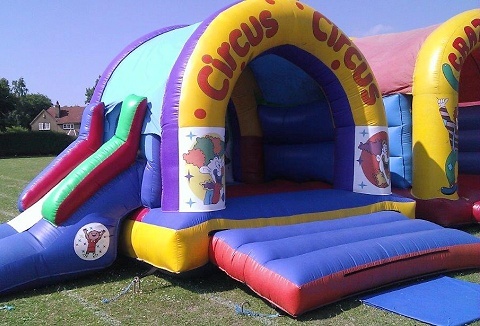 We have a wide range of themed bouncy castles and bouncy castle slides for hire that will suit all ages and tastes; fairies to princess; wizards to castles, jungle to Pipa pig. Bouncy castles are immaculately kept, tested with PLI. Garden games for hire. 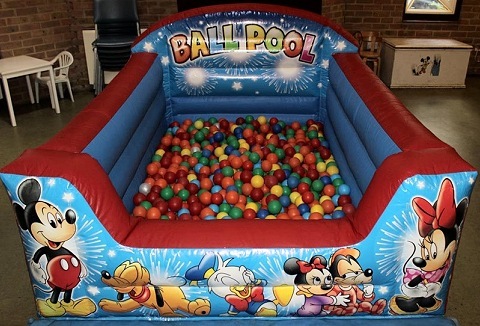 We specialise in children's bouncy castle hire and soft play rental. 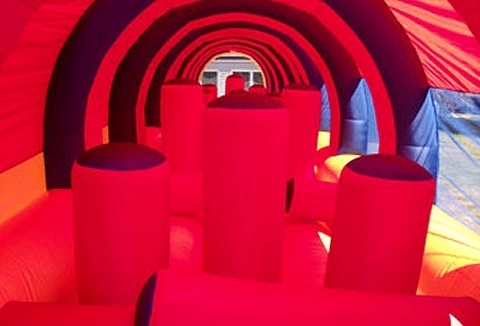 We offer a range of inflatables suitable for hire in any indoor venue, back garden to local fetes & corporate events. For 5 yrs & under why not take a look at our play parks & playzones.